Did you know we offer USATF Course Certifications, as well as event timing? Let us provide the tools for your event to succeed year after year. Road races are a great way to bring a community together in support of your cause. Whether your planning a 5k or a full marathon we can plan and execute a run your participants will brag to their friends about. Trail races are the ultimate challenge for your runners. We can help diversify your event offerings and provide a fun, challenging, and safe event for the community to participate in. Find out what services we offer to support your trail run. 2010 Race For The Cure in Uptown Charlotte. Record turnout of over 16,500 people all out running and walking in support of a great cause!!! Looking for an extreme event? Let Strider Events build your next obstacle race. Strider Events, LLC is a premier Running Event Management company based in the Orlando, FL area and servicing all of the Southeast area. With over seventeen years of experience in running & obstacle events, we can make your event a breeze, and one that runners will come back to year after year. We want to partner with you for a successful event. Whether you are looking at hosting a race for the public, or an intimate race for your corporate team – Strider Events can provide the fun & safe atmosphere you desire, which will lead to a successful event. We have an experienced team ready to provide you with impeccable service. 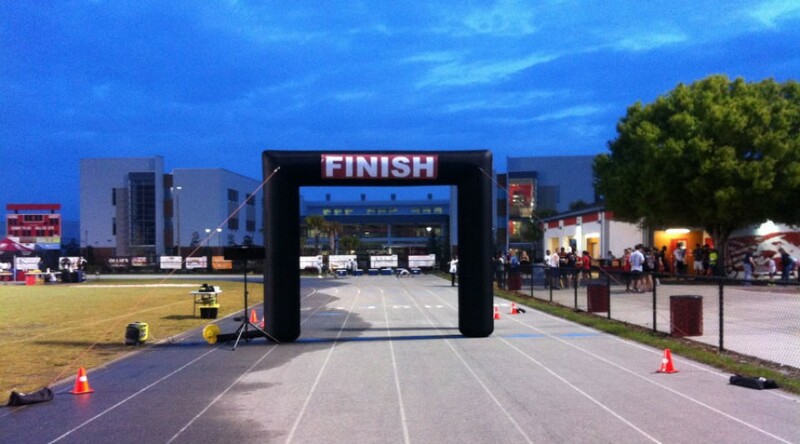 Whether you simply need your race course developed and certified through the USATF guidelines, or are in need of further Event Management and Logistical Services, Strider Events can tailor our services to meet your exact needs.